On April 3 at 6 pm, I’ll be leading a two-hour workshop for the California Writers Club in Berkeley — Setting That Works: How Memorable Setting Can Advance Plot, Reveal Character, Echo Theme, and More. (If you were at are our March BAIPA meeting, you may have seen a distilled seven-minute version of the workshop.) We’ll be gathering at WeWork, 2120 University Avenue, Berkeley. We all know that the primary job of setting — in fiction, memoir, and narrative nonfiction — is to immerse readers in the scene. So they can visualize it, feel it, smell it. But the most memorable and effective setting is more than a pretty, or gritty description. It’s lean and strong because it’s working hard. Doing two or more jobs. Not just showing the reader where the story is taking place, but also advancing your plot, unifying various elements of your story, revealing character, echoing theme, setting mood, and more. In this hands-on workshop, we will review the different ways setting can strengthen your story, and do several writing exercise putting what we learned into action. One of the most common jobs of setting is defining, revealing, or changing character. 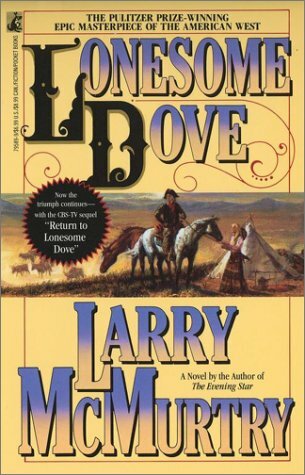 For example, in Larry McMurtry’s western, Lonesome Dove, the characters are so defined by the setting, they almost couldn’t exist elsewhere. The story follows two retired Texas Rangers and their fellow cowboys as they drive a cattle herd from Texas to Montana, facing bandits, Indians, disease, and the harshness of the landscape. The challenges of the Old West breed a certain kind of character — a loner, macho, self-reliant, independent. You can read about the other jobs that setting can do in Setting That Works: How Memorable Setting Can Advance Plot, Reveal Character, Echo Theme, and More. ← What Is a Blog Tour, Anyway?